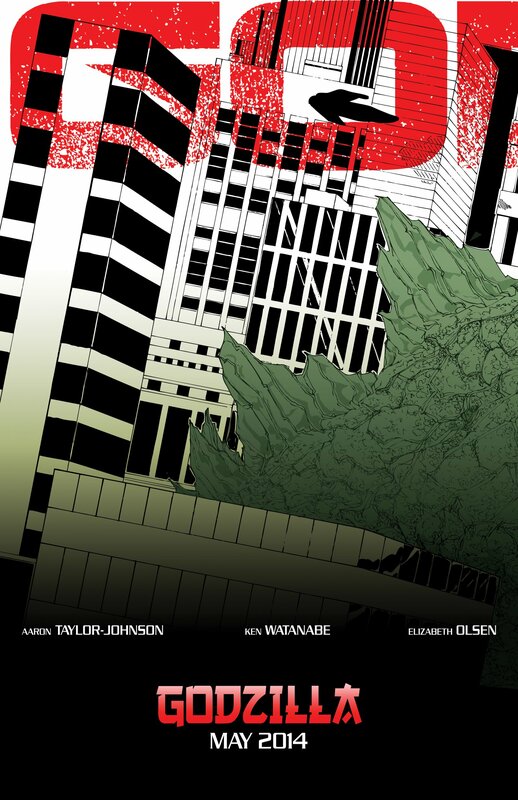 I designed a triptych set of posters that would mirror the teasing reveal of Godzilla. When all three are set side by side Godzilla can be seen in all his glory. This poster labels Triptych A shows the tail section.